Before I detail all the ways THE GOOD SON is exceptional, I’d like to take a moment to address something a few CBTB readers have already asked me about. A.J. Finn, author of THE WOMAN IN THE WINDOW, has provided a blurb for THE GOOD SON that reads: "A cool, crafty did-he-do-it thriller...The Good Son will rivet readers of Jo Nesbo and Patricia Highsmith.” I’d be curious to know exactly what prompted Finn to make the Nesbo comparison here—as an avid reader (and massive fan) of Nesbo, I’m frankly not convinced that this is at all the right comparison to make. Nesbo’s books are brilliant, THE GOOD SON is brilliant; Nesbo’s books are translated into English, as is THE GOOD SON… that’s truly where the similarities between these books end, and those are very vague comparisons indeed. I’m sure there will be crossover in readership, but I wouldn’t recommend this book to a Nesbo reader solely because that reader is a Nesbo fan. Don’t misunderstand: I highly recommend Nesbo’s work (it goes without saying! ), and I highly recommend THE GOOD SON, too - I just want CBTB readers to have the right expectations going into this book, as always. Where Nesbo’s books are typically procedural-oriented, THE GOOD SON is not; where Nesbo’s books typically follow the linear solving of a crime (from the crime’s commission through its investigation to its solution), THE GOOD SON takes readers on an unpredictable and unconventional crime fiction narrative. Both Nesbo and Jeong are skilled at portraying the mentalities and psychologies of their characters, and both employ brutal violence in their crime fiction storytelling, but the tones and style of the two authors are markedly different. I’m at a loss to figure out exactly how this comparison came about. I certainly stand behind both authors individually, but would encourage you to pick up this book for its own merits—and if you are looking for recommendations in the vein of Jo Nesbo, please don’t hesitate to ask - I have lots of those to provide! So what makes THE GOOD SON stand out on its own, apart from any comparisons? Let’s start at the biggest-picture level and work our way in. You-jeong Jeong takes a familiar premise - a protagonist whose memory loss coincides with the subsequent discovery of a murder - and makes it something entirely her own. THE GOOD SON begins with our protagonist Yu-jin waking up to discover a gruesome scene in his home: his room is drenched in blood, and, at the bottom of his staircase lies the brutalized body of his mother. It’s a relatively common concept—a character is faced with lost time, and with the question of whether or not they could have perpetrated the heinous crime they find themselves confronted with upon their awakening. But Jeong quickly diverges from the familiar, drawing the reader into a mind-bending and genuinely shocking story of suspense. The answer to the crime that launches the book is provided relatively early on in THE GOOD SON, but Jeong doesn’t let the tension drop there. The solution to the story’s first question only launches even more questions—these even more gripping and twisted than the first. Prepare to be surprised by the directions this story takes, and trust that Jeong will lead you somewhere you never expected to go. Within this tense and taut journey, readers will discover a razor-sharp dive into familial relationships and the bonds that tie mother to child and sibling to sibling. Almost as riveting as Jeong’s portrayal of the psychology of her protagonist is her exploration of the tensions that exist in his family as a whole. The relationship between Yu-jin and his mother becomes the driving force behind this blood-soaked mystery; its dark corners are as chilling as the most violent scenes this story delivers. 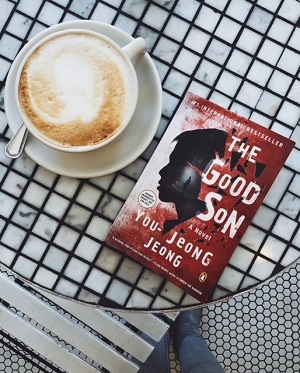 It’s rare to find a crime book that portrays the complexities of family as well as THE GOOD SON does, the authenticity of Jeong’s writing on the subject elevating her book from a purely entertaining read to a genuinely thought-provoking one. There are subtleties and intricacies to this relationship that will keep readers turning pages furiously, desperate to understand the true motivations behind each player’s often quite inexplicable treatment of the others. And the ultimate explanation(s) provided? They're jaw-dropping, stunning revelations that tie together the complexities of Yu-jin's family life to brilliant end. But lest we forget, THE GOOD SON isn’t simply a story of interpersonal suspense—no, it’s a downright bloody one, too. Jeong writes with clinical precision some of the bloodiest scenes I’ve encountered in my reading so far this year, and she does it with the kind of head-on, no-holds-barred candor that will send chills down the spine of even the most seasoned crime reader. There are no frills or tricks here, just blunt, brutal crime writing—but there’s also no violence simply for the sake of violence. Jeong's writing is elegant even in its brutality; each piece of this terrifying puzzle is carefully placed, each moment of violence intentionally crafted to enhance our understanding of the story’s perpetrator. THE GOOD SON is all the more frightening for the astute awareness the author brings to the character who is ultimately revealed to be the psychopath central the book. Jeong seems to pull back the curtain and allow, with alarming clarity, a glimpse into the psychology of someone who is truly unhinged. The term “psychopath” is thrown around quite liberally when we discuss crime fiction, but it’s an apt descriptor for the perpetrator behind the brutal crimes depicted here, and Jeong delivers one of the most convincing constructions of such a character I may ever read. 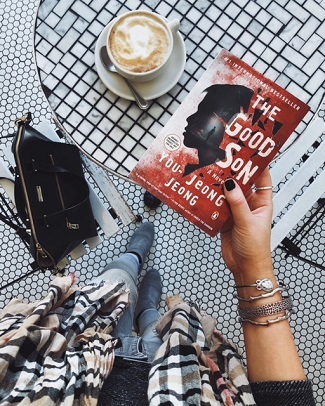 Smart, razor-sharp, downright terrifying—THE GOOD SON is everything a crime reader could hope for. 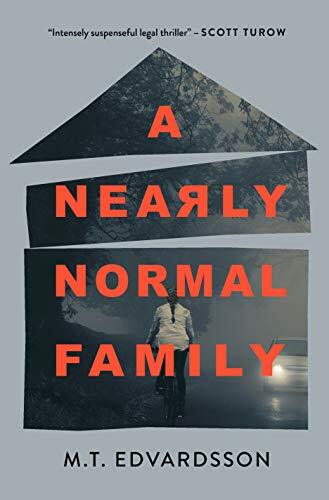 With measured and intelligent reveals, sharp insights into the bonds of family, and a wholly addictive and entertaining pacing, this truly is the work of a superb crime writer. I highly recommend THE GOOD SON, and will be eagerly awaiting any future translations of Jeong’s work that may come to fruition.